With the exception of Little Rock, Yale, Providence, Stephen F. Austin, Hawaii, St. Joe's, Northern Iowa and, most incomprehensibly of all, Middle Tennessee, not a whole lot went down these past two days in the NCAA Tournament, right? Now as the field has whittled in half, who will advance to the Sweet Sixteen next weekend? Here are my predictions for the 2nd Round of March Madness. The 2016 NCAA Tournament is under way but as we all know, the real fun kicks off tomorrow at noon with the start of the 1st Round. With action all day tomorrow and on Friday, the true madness will commence. Which teams will keep their hopes and dreams of cutting down the nets in Houston alive, and who will depart from the tournament early? Here are my predictions for the Thursday and Friday 1st Round action. The 2016 NCAA Women's Tournament kicks off this Friday afternoon and once again, the story are the Huskies of the University of Connecticut. The winner of the last three tournaments, and a program that has made every Final Four going back to 2007, the Huskies enter the postseason with an unblemished 32-0 record and are looking to become the sixth undefeated champion in program history. But as always, they will be under fire from the likes Baylor, Notre Dame and South Carolina, who have a combined three loses. 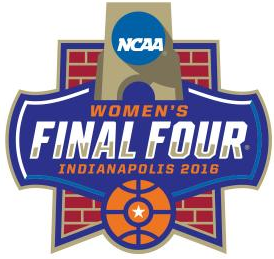 Who will make it to Indianapolis and who will win the NCAA Women's Tournament? Here are my predictions. The NCAA Tournament kicks off, as always, with the First Four in the Gem City, Dayton, Ohio and this year is no different. We have got ourselves some quality basketball action at the UD Arena on Tuesday and Wednesday night but only four teams will survive and advance on to the 1st Round come Thursday and Friday. Who will win tomorrow and on Wednesday? Here are my picks. Because if there isn't the NIT, there's the College Basketball Invitational. This will be the ninth edition of the CBI and as always, there's a good mix of mid-major clubs not fortunate enough to get into the NIT or the NCAA's. Who will win the 2016 CBI? Here are my predictions. The field of 68 for the 2016 NCAA Tournament has just been released. Did your team make the dance and who will they play on the road to the Final Four in Houston? Let's take a look. The 2016 NCAA Tournament kicks off this Tuesday evening in Dayton with the First Four, and it concludes with the National Championship Game on April 4th in Houston, and on a new network! That's right, this will be the first year that the National Championship will be on TBS, along with the famous teamcasts on TNT and truTV. We also have some changes to tip times this year. So, keeping all of that in mind, let's take a look at the television and announcing schedule for this year's edition of March Madness.